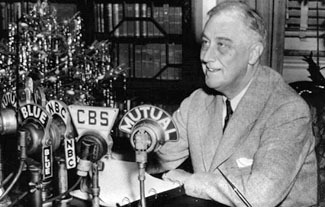 President Franklin D. Roosevelt gave thirty different fireside chats between 1933 and 1944. He used the fireside chats to explain his policies and to ask for the American people's support of his policies. Write 1 - 2 paragraphs for each of the chats below that identifies how the policies discussed in the chat furthered the goals of relief, recovery, and reform.